Being engaged in the design of system solutions for smoke and heat removal for any production, commercial or other facilities, our company employees use all their rich experience and professional technological knowledge. No matter how complex the space entrusted to us is, our solutions are most effective and balanced economically. 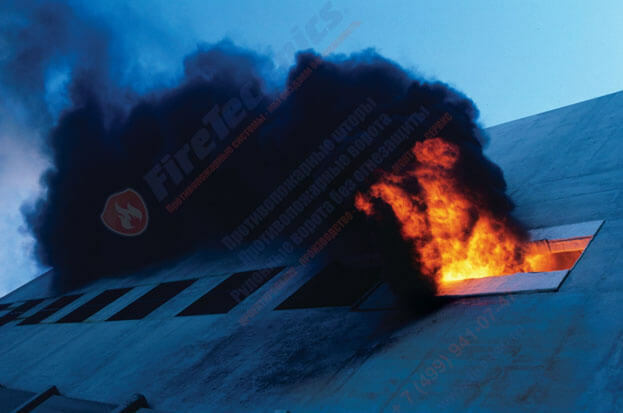 If a quality heat and smoke removal system operates at the site, in case of a fire, it helps to save human lives and protect material values from damage. Prevention of destruction of the building. Systems for removing smoke and heat. 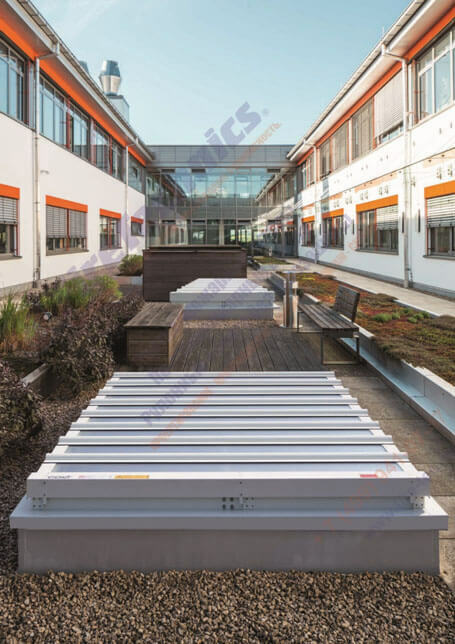 Regardless of whether they are based on natural or unnatural heat and smoke elimination, in any case, during work, they extract excess heat and poisonous vapors from the building. Indispensable parts of such projects are exhaust fans, smoke fireproof valves, OTK pipeline, SOZ system distributor, as well as valves intended for natural smoke removal. Systems designed to control the spread of combustion products. Their task is to prevent the spread of smoke and heat throughout the building. These systems are provided either by physical limiters, the role of which can be played, for example, by fire valves or smoke blinds, or by using pressure drops (so-called sealed systems). Ventilation systems installed in garages. 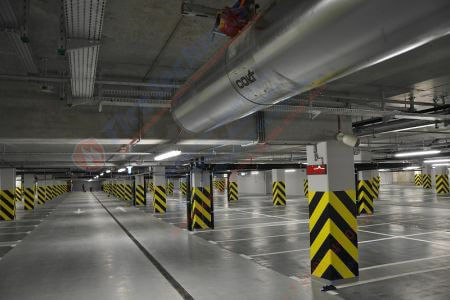 In reliable fire ventilation, any closed or underground garages are needed. At the same time, such a system can be combined with ordinary hygienic ventilation, without which the daily operation of such facilities is impossible. It can include the following elements: ventilation valves or blinds, exhaust fire-extinguishing valves and fans, pulsating or induction fans. The company Colt offers you a full range of services – from operational and quality design, to manufacturing, installation and commissioning of the system. By the way, we also take care of its maintenance. Not by hearsay knowing that each of the building types needs an individual approach to the preparation of the project, we do everything to make it as efficient as possible. Our experts thoroughly understand the design, so they look for solutions, even with architectonic difficulties, which promise different types of buildings. Collaborating with Colt, you can get rid of worries, as in all phases of project preparation, and throughout the entire period of using the equipment. The project of any complexity is solved in a complex manner, using the knowledge of aerodynamics in buildings and advanced technologies. We propose financially sound and perfectly balanced systems that not only meet all your requirements, but also the existing world standards and technical standards. Our design solutions are developed using software products such as CAD and CFD. The equipment supplied by us adapts to the individual requirements of the project. If necessary, it can be tested at any time in our research center. We offer high-quality products of our own production, which is manufactured in compliance with the strictest quality requirements. Each of our products has successfully passed practical tests, arranged in an independent testing center in full compliance with the current technical standards. 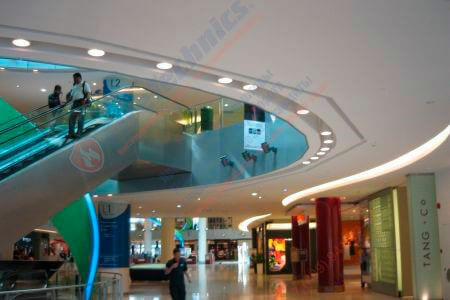 We are ready to undertake the installation and bringing into operation of the whole system. 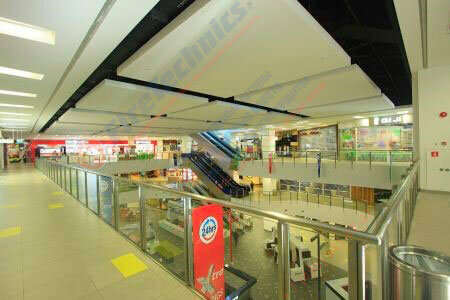 All the work will be performed by our highly skilled and experienced teams of manufacturers. We take care of the service and routine maintenance of the system created for you, so that you can be sure that it works without any interruptions during the entire operational period. With the Colt system you are under reliable protection! Our company, which has been operating since 1950, has become a pioneer in the production of smoke and heat systems. Constantly conducted by us developments contribute to scientific knowledge, deepen information about the behavioral factors of fire and smoke in a fire. A huge accumulated experience we use to improve solutions, while making them meet all the needs of customers. For many years we have carried out many projects, which is a clear proof of our accumulated knowledge and professionalism. Share information, Choose your social network!